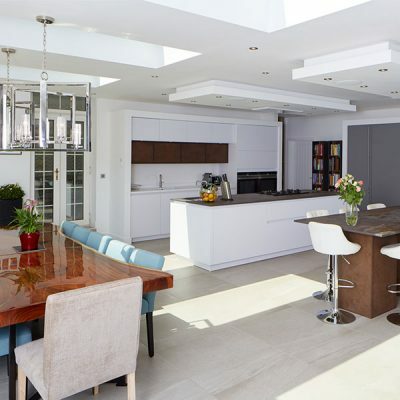 A LARGE OPEN PLAN LIVING KITCHEN AREA, PRACTICAL FOR WORK YET HOMELY FOR RELAXATION. 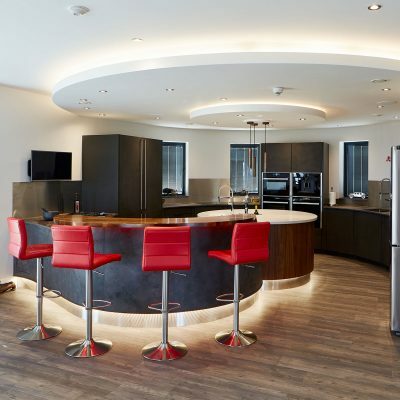 Open plan living kitchen with built-in tall appliance bank and large working island. 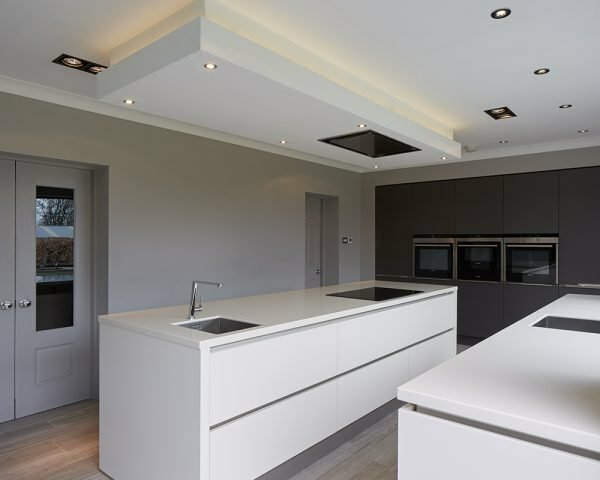 The client wanted to create a large open plan living kitchen area, which was both practical to work in and minimal enough to feel like a homely space to sit and relax. 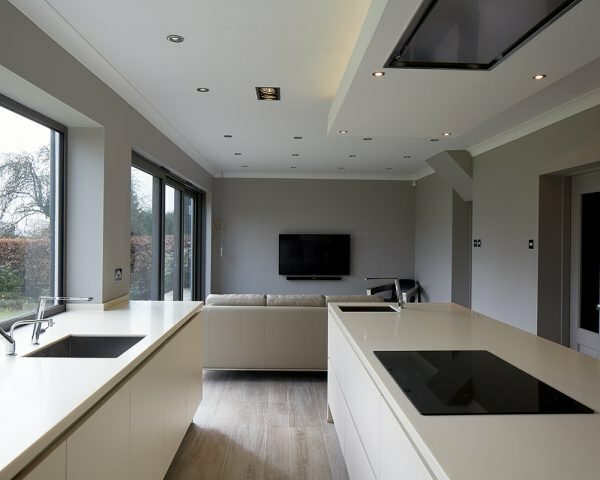 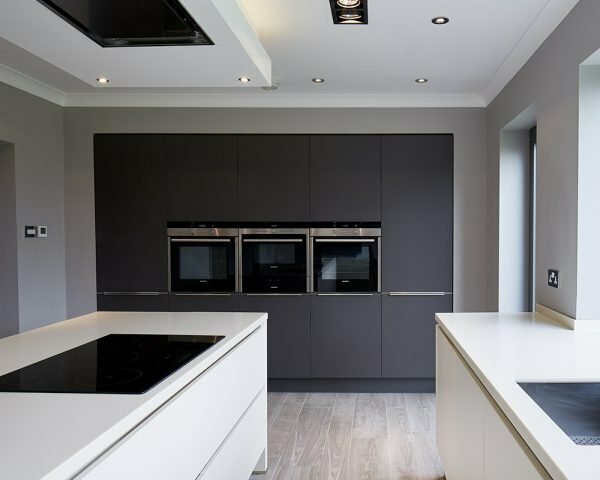 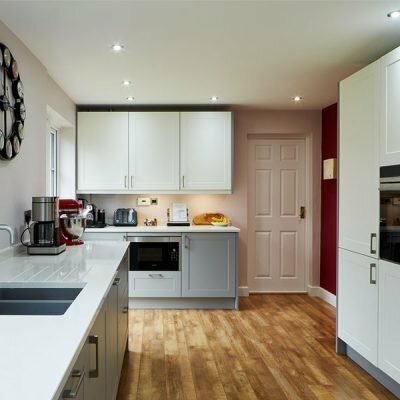 The original layout by the architect didn’t give us the right kitchen area to achieve the client’s wishes so we talked through the options of changing the downstairs layout to optimise the living kitchen area, which the clients loved. 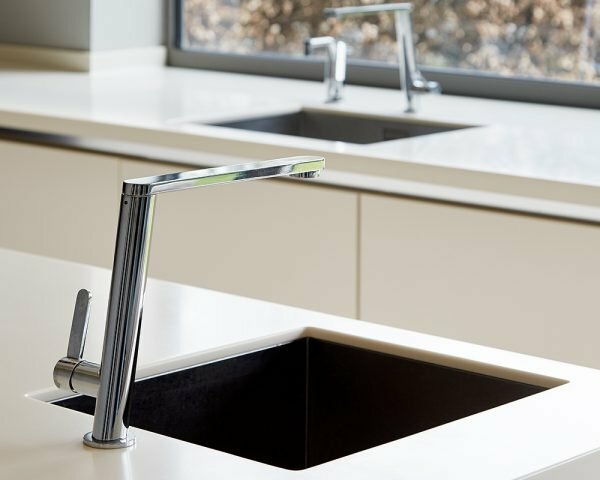 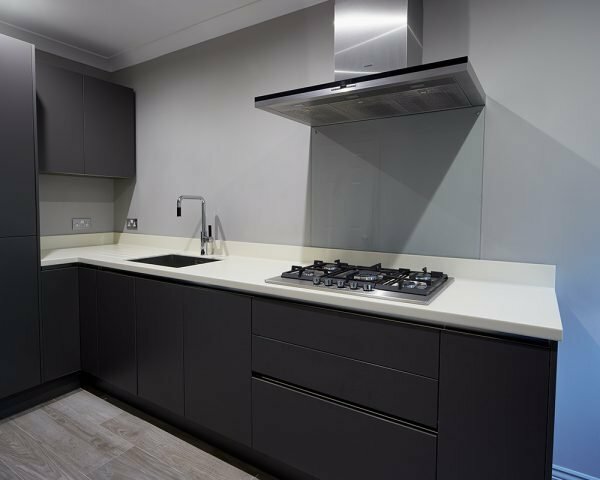 We also designed a small utility kitchen where the messier kitchen cooking could be done, to leave the main kitchen clearer. 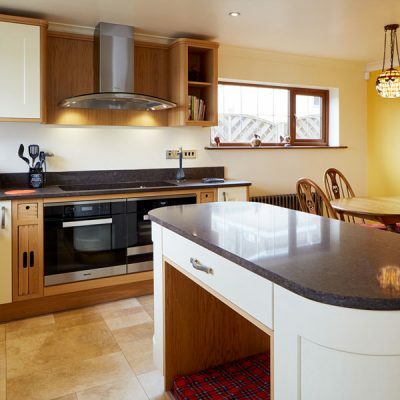 a kitchen that exceeded all our expectations. 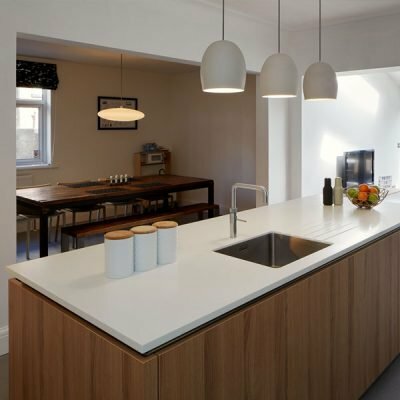 With Ian’s design flair, creativity and his understanding of spaces & interior design, he helped to reconfigure our extension space to maximise its impact, which has truly transformed our home.